Home » » See Who Bisola Aiyeola Is Engaged To? 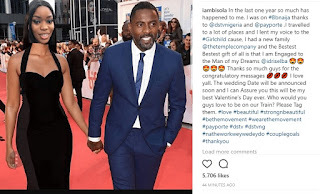 Former Big Brother Naija Housemate, BisolaAiyeola is now engaged to British actor, Idris Elba. 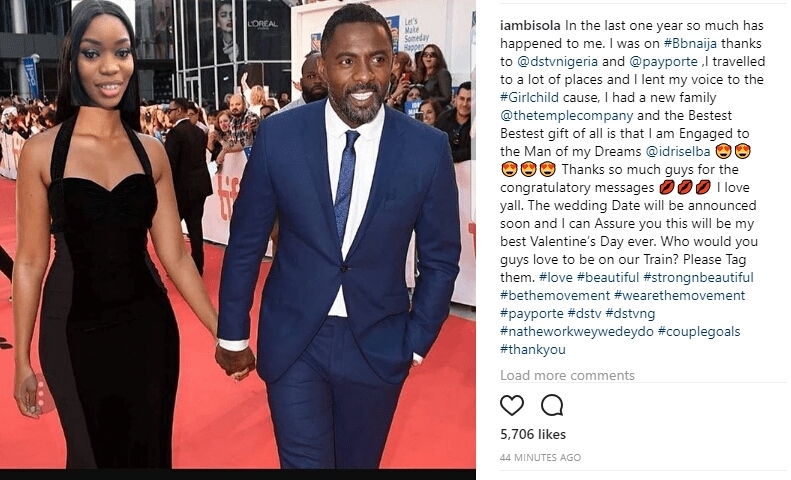 She hilariously announced this on her Instagram profile with a retouch picture of her face into the photo of Idris and fiancee, Sabrina.